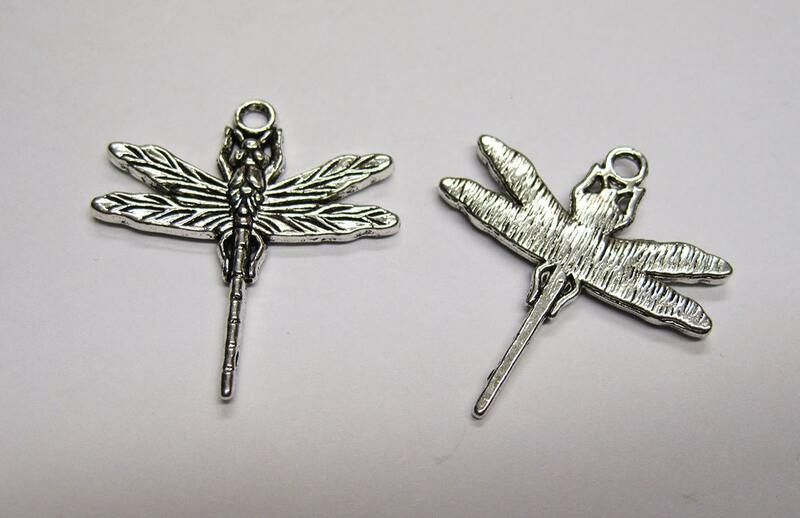 Antiqued Silver dragonfly charms. 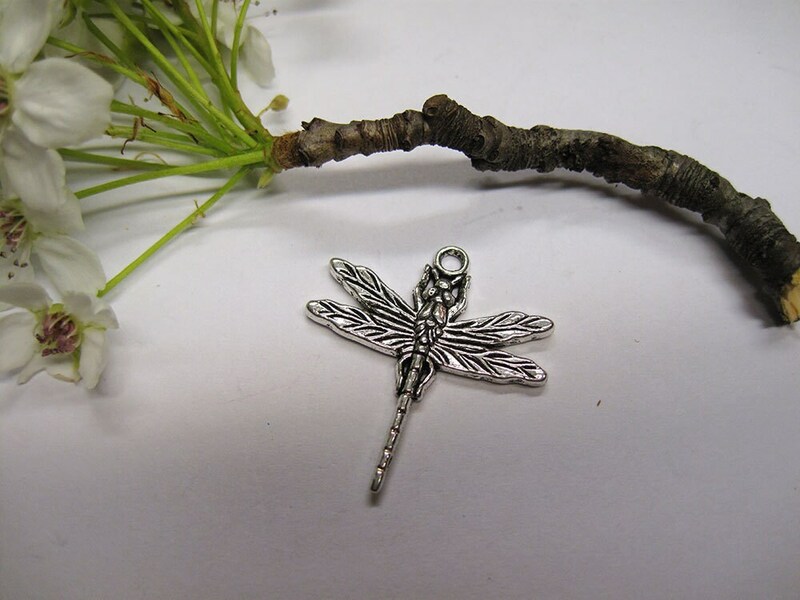 These elegant vintage style pendant charms are pewter, lead and cadmium safe and they measure 31x29mm. You will receive 10 charms. Such a pretty charm. I love them! So detailed and high quality. Thanks! Nice size and very detailed. Pretty charms.